Even with strong concerns over potential money laundering occurring, Nevada and its gaming commission will permit cannabis business conferences at casinos. 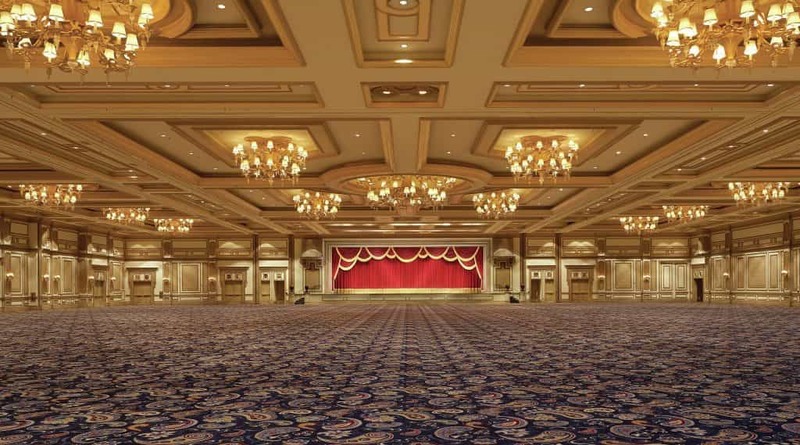 Las Vegas has for a long time been a hub for businesses to host seminars, conventions, and other business associated events. Since marijuana is a Schedule 1 drug, banks have been very reluctant to accept funds from state legal cannabis businesses in fear of federal repercussions. Accepting deposits and withdrawals from a company that handles the marijuana plant could result in money laundering charges from the government. Conventions are places where many business deals can take place, and so for casinos to open their convention centers to the marijuana business industry is walking the line. “Hosting a convention for marijuana business at a casino actually provides the perfect venue for money laundering by those attending the convention,” said Richard Tomasso, the VP, of Mesquite Gaming. The gaming policy commission chaired by Governor Brian Sandoval generally agrees, but commissioners, along with the chairs of the gaming control board and gaming commission — are making an exception for marijuana business conferences. “It made the absolute distinction that none of our licensees can participate in the marijuana industry, nor can they do business with anybody within the marijuana industry,” Gov. Sandoval said. “At the end of the day, you know, these resolutions have every gaming licensee to still hold true the reputation of the Nevada gaming industry, and the gold standard we all enjoy,” said Alamo. Lawmakers in D.C. are working to find a way for banks to accept funds from legitimate cannabis businesses. In fact, a bill is being worked on right now to roll back some of the banking restrictions put in place by the Dodd-Frank Bill from 2010. An amendment is being added to the new bill that would allow the cannabis industry to find a banking solution. Cannabis businesses are cash heavy due to these banking restrictions. It makes them very fearful of robberies and so the vault industry has found a niche cannabis companies. When attending cannabis business conferences such as MJ Biz Con, massive safes are often on display as visitors walk the floor. 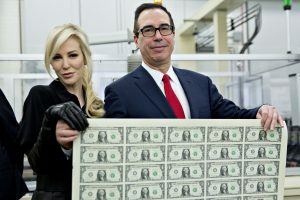 Treasury Secretary Steven Mnuchin has commented a number of times that he is behind efforts to find banking solutions for the industry and is uncomfortable with so much cash being on hand inside state legal dispensaries. The economic leverage of such a fast growing industry like the cannabis market will likely force the issue on the federal government which may be one of the reasons casinos and Nevada’s gaming industry are willing to take the risk of letting cannabis businesses through their doors. The gaming industry already sits on the edge of federal tolerance and so the incredibly lucrative business is not interested in taking too big of risk on marijuana yet. However, indications suggest that should the federal government ever decide to remove marijuana from the scheduled list of banned substances, the gaming industry would take an interest in marijuana. If for nothing else, casinos could setup smoking lounges for guests to socially consume cannabis. Social consumption areas are needed for tourists that have no private residence to consume marijuana.